The thread that runs through Matthew chapter 7 is that of relationships. In chapter 5 Jesus introduced us to the upside-down kingdom of God; how to enter into it and how to live within it. In chapter 6, He taught us how our relationship to God as Father guides our religious devotion and every other aspect of our life in this world. But here in chapter 7 the theme shifts to help us understand how our faith in Christ affects the way we relate to the people we will encounter in this world. Last week, Terry helped us to see how we should relate to our brothers in Christ. Our desire is to help them but we can’t go into that relationship blinded by our own faults. We must humble ourselves, take the log out of our own eye, and then we can care for our brothers and sisters. The second relationship is to those Jesus categorizes as dogs and pigs, which is not just talking about un-believers, but those who have defiantly and decisively rejected the good news. Our Christian witness is to be done with patience, perseverance and wisdom. It takes great wisdom to know when it is time to shake the dust off of your feet and move on. The third relationship is between us and our Heavenly Father and it flows right on the heels of verse 6. Here’s the connection; How are we to know when to be patient with an unbeliever and when to stop casting pearls before swine? To give someone over to their unbelief is a very serious step to take and it is not a decision to be made lightly. Our normal Christian duty is to pray for unbelievers, preach to unbelievers and to persevere in our love for unbelievers. But there comes a point when it’s time to move on. How can we know when that time has come? Or better yet, how are we going to be able to live out, not just verse 6, but all of Jesus’ Sermon on the Mount? 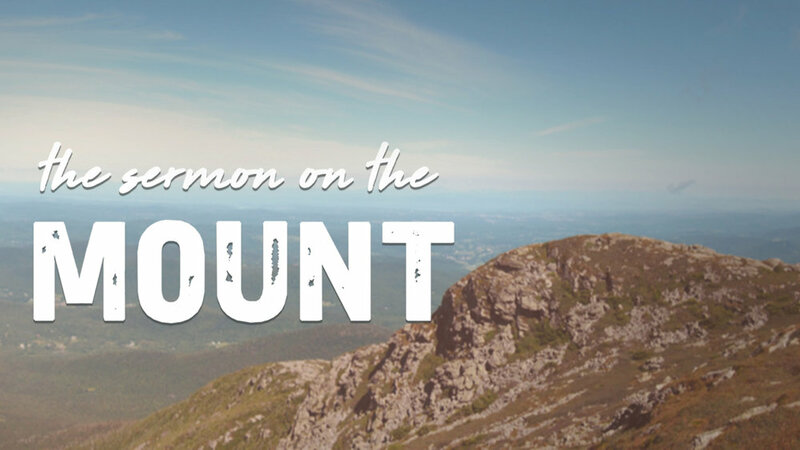 In this Sermon, Jesus has opened our eyes to the true character of His Kingdom. His Kingdom is kept for those who are poor in spirit, who mourn over sin, who are starving for righteousness. His kingdom is for the merciful, pure-hearted, peacemakers who suffer persecution for their new citizenship, but all the while rejoice because their name is written in Heaven. As citizens of this kingdom, Christ calls us to let our light shine into this world. He calls us to pursue righteousness that exceeds that of the Pharisees and Scribes. He calls us to leave the altar of anger and pursue reconciliation. He calls us to tear out our right eye rather than to lust. He calls us to love our spouse to the end. He calls us to keep our word, to turn the other cheek, to love even our enemies, to practice our righteousness with sincerity, to pray, to fast, to give, to lay up treasures in Heaven, to trust God with everything, to humble ourselves and then help our brothers get the speck out of their eyes. We don’t enter the Kingdom based on our good works, but once we enter in we are anything but idle. Our entry into the Kingdom is a gift of God’s grace, we enter by grace and through faith in all that Christ is and all that Christ has done; but our citizenship comes with responsibility. There is much to learn, much to do and plenty of ways that we need to grow. With all of this in mind, Jesus wants us to know that we are going to need help and that God is ready to supply the help we need. In Matthew 7:7-11, Jesus is not giving us open-ended instruction to demand from God whatever we may want. He is telling us that the help we need to carry out all the imperatives of the Sermon must be pursued and will be supplied by our Heavenly Father. Where are we going to obtain the wisdom needed to honor our new king? Where are we going to get the spiritual strength to faithfully follow Christ? How are we going to stand firm against the hostility of this sin-soaked world? Matthew 7:7 “Ask, and it will be given to you; seek, and you will find; knock, and it will be opened to you. 8 For everyone who asks receives, and the one who seeks finds, and to the one who knocks it will be opened. 9 Or which one of you, if his son asks him for bread, will give him a stone? 10 Or if he asks for a fish, will give him a serpent? 11 If you then, who are evil, know how to give good gifts to your children, how much more will your Father who is in heaven give good things to those who ask him! There are two things that we are going to see this morning: 1. Our God will supply our needs 2. Our God is a good and loving Father. In our everyday life we have grown accustomed to needs rising up all the time, but we already know how to meet many of those needs. We live in a culture of abundance. When a problem arises we often know exactly what to do, or at least we know who to call. We have learned to depend on our experience, our education, and our resources. I don’t think this is necessarily a bad thing, after all God does want His people to be wise, hard-working and to make the best use of what we have been given. But there are many needs that arise in the Christian life, which our everyday resources can’t meet. Jesus is encouraging us in this passage to let those needs drive us to God continually. Ask, seek, knock; all of these verbs are present imperatives, which means there is a continual action involved here. Ask and keep on asking, seek and keep on seeking, knock and keep on knocking! When Paul tells us to pray without ceasing, this is what he is talking about. Jesus wants us to let the needs of the Christian life cause us to continually lean into dependence upon God. And He use three verbs instead of one to help us see just how thorough our prayerful dependence should be. He starts by telling us to ask and asking requires humility that not only recognizes a need but also recognizes that we are powerless to meet that need. Some of us have no problems asking others for help, but that is just not the case with everybody. (Illus…I know that we all have cell phones now with interactive maps on them, but there was a time when you might get lost while driving and the only hope that you had was to pull over and ask for directions. If you are a guy, pulling over to ask for directions was the last thing you wanted to do, because it required you to admit that you had no idea where you were and where you were going. Sure, He already knows what we need, Jesus made that clear in 6:32, but God wants us to come to Him and ask. But too often we don’t. James 4:2 You desire and do not have… You covet and cannot obtain… You do not have, because you do not ask. Prayer is an admission that we don’t have what it takes. It is us saying, “God, I can’t; but I know you can.” We are putting ourselves in a vulnerable position by declaring our absolute dependence upon God. We need Him to do for us what we have no power to do for ourselves. Now, this does not mean that God is like some genie in a bottle bound to grant us three wishes, no matter how absurd they may be. Jesus point is not that God will give us whatever we ask for, but rather that because God loves us and is good, He will hear our prayers and give good gifts to His children. If you look at the parallel passage to this one in Luke 11 you will see that Jesus says, “The heavenly Father will give the Holy Spirit to those who ask Him.” God is not a wish-granter, but He is a Spirit-granter. He will meet our spiritual needs by the supply of divine help. So let’s come to God, ask and keep on asking. Let’s also seek and keep on seeking. To seek for something means we look for it, we hunt it down, we put forth the effort needed to obtain the object of our desire. In this case, the object of our desire is our Father’s help and Jesus wants us to seek it out. When we pray for God to meet our needs we don’t just sit on our hands. Each week, I pray that God will help me to understand His Word and help me to write a sermon that will be a powerful help to you, His people. I pray for insight, creativity, understanding; but that’s not all that I do. I also study the word. I read and think and meditate. I type and delete and type again. I ask but I also seek. Seeking is not the opposite of asking, these two things go hand in hand. Have you prayed for God to give you an understanding of His Word? Did you follow that up by reading and studying His word? Have you prayed for God to give you peace about a decision? Did you follow that up by applying godly wisdom to the circumstance? Have you prayed that God would allow you to be salt and light to the world around you? Did you then go out and let the light of the gospel shine out of your life? Sometimes God answers our prayers in the process of our faith taking action. When the answer comes we don’t say, “Oh, I guess I didn’t need God after all.” But rather, we begin to see that He works through normal means to meet the needs of His people. We ask and keep on asking, we seek and keep on seeking, and then we knock and keep on knocking. Knocking is what we do when we are desperate, but the door is closed, so we knock until our knuckles get sore. I think the point of this is to pray with persistence, like the unprepared friend in Luke 11. Jesus tells us a story about a guy, who goes to his friend in the middle of the night and begins to bang on his door asking for food. Now for you and I this might not be that big of a deal. If a friend comes over in the middle of the night some of us might not even be in bed. But in this day, there was no lighting and electricity and it was customary for people to get in bed just after the sun went down, which means that this guy and his family were well into their deep sleep (REM sleep). So, the timing of this friend is incredibly inconvenient. The next thing Jesus tells us is that the request he makes is excessive and bordering on ridiculous. In those days a loaf of bread would feed an entire family for several days, but this guy asks for three loaves of bread. Imagine that you go to the grocery store and buy two weeks’ worth of groceries for yourself and your family and then as soon as you get all that food home with you, a friend walks up in a panic and demands that you give him all the stuff you just bought. That’s what is going on in Jesus’ story. Then we find out that the guy was absolutely unprepared. We don’t know if the man was just lazy or if his houseguest arrived unannounced, but what we do know is that he is unprepared and powerless to meet his need. “I have nothing to set before him,” this means that he is in desperate need of someone outside of himself to supply his need. This guy came over and woke up the whole family, his timing was incredibly inconvenient. His request was over the top. He was totally unprepared and unable to meet his own needs, but he doesn’t let any of this stand in his way. He knocks and keeps on knocking, until his friend gets out of bed to help him. Here’s the point of Jesus’ story. Our God is not a sleeping friend. He is our good and gracious God who loves his children and who desires to give good gifts to them. No matter the time of day, no matter the expense of the need, no matter the inconvenience; God invites us to come to Him like needy children and to cry out for his help. Jesus wants us to come to God with confidence, with humility, and with persistence; asking, seeking and knocking. But the best part is what Jesus tells us next. 1. Our God will supply our needs because 2. Our God is a good and loving Father. Asking, seeking and knocking can be wonderful but can also be terrifying. It depends on who you are approaching. If the person on the other side of the request is a tyrant, then we are in trouble. But the person on the other side of the door that we are knocking on is good. That’s the point of this illustration. Jesus wants us to be motivated to pray by our knowledge of the goodness of the One we are praying to. To make his point Jesus tells the story of a child coming to his father with a series of requests. Each time the father gives good things to his child. He doesn’t say that the little child always gets exactly what he/she wants, but the point of the story is to show that loving parents, even though they are evil, still know how to care for their children. Now, I’m not sure about you but I think Jesus’ definition of evil is pretty interesting. Jesus has no problem saying that we do good things even though we are evil. Our worldly way of thinking makes us want to say that since we do good things we must be good and not evil. But Jesus says, “Oh you’re still evil, but even evil parents give good gifts to their children.” I think our definition of evil needs some work. The force of this illustration lies in the contrast between evil human parents and our infinitely good Heavenly Father. If human parents (although evil) know how to give good gifts to their children, how much more will our Heavenly Father give good things to those who ask Him? This is meant to transform our prayer life. When we realize that we are praying to our heavenly Father, when we grasp that we are praying to the One who loved us even in our sin, who gave us His Son to save us from that sin, and who has adopted us into His family allowing us to call Him Abba; is there any reason in the universe why we wouldn’t come to Him over and over to ask, seek and knock. Romans 8:31 If God is for us, who can be against us? 32 He who did not spare his own Son but gave him up for us all, how will he not also with him graciously give us all things? God has no perverted self-interest. He is not stingy with His good things thinking that He might run out and have nothing left for Himself. He is not angry with us and trying to get revenge by withholding good things. He is not tired of us coming to Him with our needs. He is pure, holy, and loving. He is full of mercy, full of grace, abounding in steadfast love for His children and He loves to give good gifts to His children. Our Heavenly Father is better than our earthly father, better than any earthly father. But some of you are saying, “What about my unanswered prayers?” This is a good question and there are not always easy answers to this question. Let me give you a few reasons why God doesn’t always answer our prayers. 1. This promise is for believers. The right to come to God as a child to a Father is given to those who receive Jesus Christ as Lord and with that faith comes the benefits of sonship (John 1:12). The context of this promise is centered on those who have entered the kingdom through faith in Christ, apart from faith this promise isn’t yours. 2. The problem may be our motives. James 4:3 You ask and do not receive, because you ask wrongly, to spend it on your passions. If your asking, seeking and knocking is about your own personal comfort, or more money, or power over others, or self-promotion in some way; if your prayers are motivated by a warped and perverted view of the gospel, such as the health, wealth, and prosperity teaching that is so prevalent today; then you have no claim on this promise no matter how much you name it. 3. The problem may be our sin. James 1:6 But let him ask in faith, with no doubting, for the one who doubts is like a wave of the sea that is driven and tossed by the wind. 7 For that person must not suppose that he will receive anything from the Lord. Faithless prayer is nothing more than a wish dream thrown up into the sky, what Jesus calls us to is humble dependence upon God. 4. The problem may be that we are not asking for the right thing. 1 John 5:14 This is the confidence that we have toward him, that if we ask anything according to his will he hears us. God gives gifts that are consistent with His will and often our requests aren’t’ consistent with His will. 5. The problem may remain a mystery. I am so thankful that the book of Job is in the Bible because it lets us know that there are some questions that may never be answered. Over and over again Job comes to God and asks, “Why?” He wants to know why he is suffering. He wants to know what God is doing. He feels attacked and abandoned by God. His friends all told him that his suffering was the result of some past sin, or maybe even some present sin. They misapplied, misdiagnosed, and misrepresented God to their friend. Job’s friends had no category for innocent suffering and in many cases, neither do we. But it is true that much suffering in the life of a Christian cannot be connected to a particular sin in their life. There is such a thing as innocent suffering and the relief from the suffering is found in God himself, not looking back or looking in, but looking up. Job never found out the answer to his “why” but he did find and answer to the question of “who.” Even in the darkness, Job found that God was enough. And here’s something we need to learn from him, Job never stopped asking, seeking and knocking. In the end, Job’s life was restored to him and He learned that God is a good and loving Father who not only takes away but also gives. Blessed be the name of the Lord. By the way, the truly innocent sufferer was Jesus. He suffered the scorn of this world, but this world was not worthy of him. He suffered the shame of the cross though he had committed no sin. His innocence made the cross a severe worldly injustice, but it is by His suffering that we who believe have been saved. His death secured our ransom. Sometimes God withholds something from us that we’ve prayed for because He knows more than us and He has a better gift in mind. I read a story this week about a pastor who preached on this text and then after the sermon he was approached by a woman. Nothing about that experience sounds easy, but she came through it with a greater love for and trust in God. She knew that on the other side of that door stood a loving, good, gracious, and generous God that she could trust. She didn’t have all the answers, but she had Him. We need our best theology in our darkest moments. Do you believe that? Do you believe he loves you? Do you believe he has your best at heart? Do you trust His wisdom and care for you? The One who gave His Son to save rebels and make them into sons and daughters is the One we put our hope in, no matter what. He is the One that we lean on, depend on and come to in prayer.